Недавно переводил справку с места работы на английский язык для получения визы во Францию и участия в научной конференции. Используйте данный образец для своих целей, заменяя слова, выделенные оливковым цветом. This is to certify that Egor Orlov has worked in company «Horns & Hoofs» as an engineer since 01 September 1989 till present. 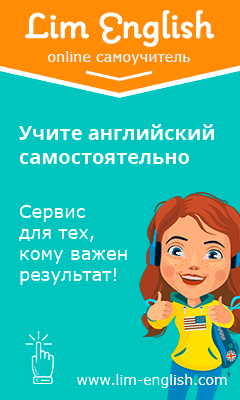 Monthly salary from February 2013 to July 2013 equals 15000 RUB. Company «Horns & Hoofs» has the honor to express its respect for you and asks to grant a visa to E. Orlov who at the invitation of Russian Academy of Sciences is planning to take part in the conference «Best Methods of Translation 2014» which will be held from 23 September to 26 September 2014 in Greenfield. During his visit E. Orlov will hold his current position at company «Horns & Hoofs». 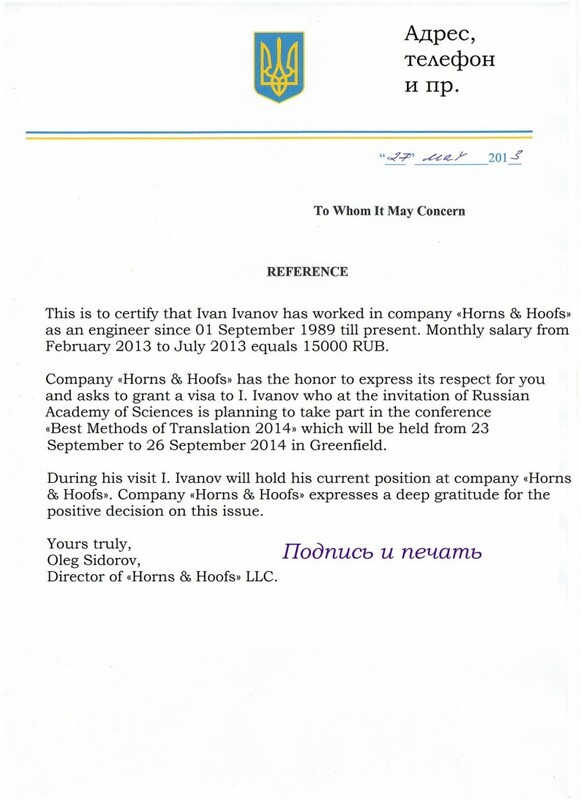 Company «Horns & Hoofs» expresses a deep gratitude for the positive decision on this issue. Director of «Horns & Hoofs» LLC.